Here’s what to do if your coupon doesn’t print or you would rather have coupons mailed to you. 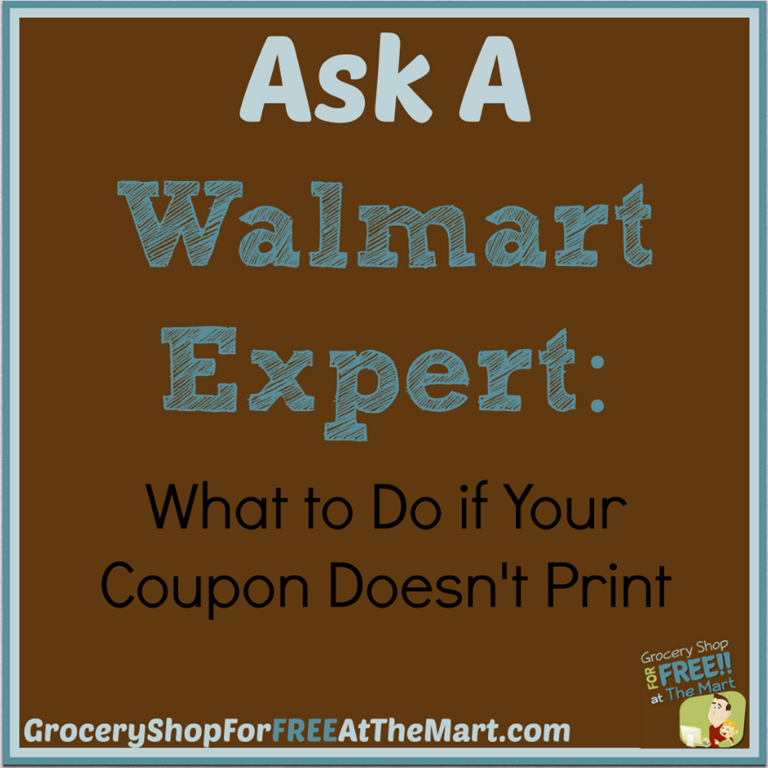 Since starting this blog I have been contacted by readers many times with questions about couponing, Frugal Living, Walmart’s policies and procedures, and various other little things. I figure if one person is wondering about it, there might be others so this will be an on-going feature to answer the most common questions that come up. If you have a question, please check out master list of Ask A Walmart Expert articles to see if your answer is there already or contact me and I’ll do what I can to help you out. Don’t you hate it when your coupon doesn’t print! It drives me nuts but fortunately there are a few things you can do about it. Coupons.com coupons allow for 2 prints, specifically in case the first one doesn’t print. Figure out why the first one didn’t print (paper jam? out of ink?) and correct the issue. Then push your back arrow and try again. If after the second time you still couldn’t print, you will need to try again from a different computer. Bricks coupons are coupons that start with the word “bricks” in the URL. They are typically found on the webpages of business. For instance, the one above is from the Old Orchard website. If you are trying to print one of these and fail, you can click the “Help” link at the bottom of the page. Just click the link and fill out the short form and you will receive a coupon in the mail in a few weeks. You can fill out this form a maximum of 2 times to receive 2 coupons. When you receive a bricks coupon in the mail it will be a professionally printed and sometimes foil-embossed coupon which is great if you have a store that does not accept printable coupons. Here is a list of available bricks coupons for you to try it out on. I would like and and ALL coupons.. please!! that’s expert advise? really? that’s just common sense guys, come on where is the so called “expert advise”?